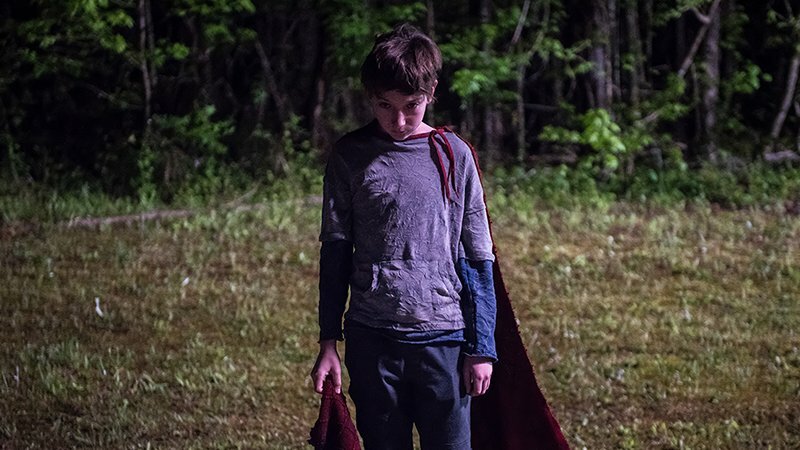 Sony Pictures and Screen Gems have released a new photo for their upcoming horror movie BrightBurn, featuring star Jackson A. Dunn in the James Gunn-produced project. Check out the full photo now in the gallery below! BrightBurn is directed by David Yarovesky (The Hive) and written by Mark Gunn & Brian Gunn. Elizabeth Banks (The Hunger Games, Pitch Perfect) stars alongside David Denman (13 Hours, Power Rangers), Jackson A. Dunn (Shameless), Matt Jones (Mom, Home) and Meredith Hagner (Younger, Set it Up). James Gunn produces, with executive producers Mark Gunn, Brian Gunn, Dan Clifton, Simon Hatt, and Nic Crawley. The H Collective fully financed the feature and produced alongside Gunn’s company, Troll Court Entertainment. Screen Gems will release the film wide theatrically in the U.S over Memorial Day Weekend, on May 24, 2019, as well as most international territories. The post BrightBurn Photo Teases Frightening Anti-Superhero appeared first on ComingSoon.net. January 1, 2019 at 1:17 AM Stranger Things 3 Premiere Date Set for July!